Injuries from car accidents are overwhelming the most prevalent type of personal injury claim. According to the National Highway Traffic Safety Administration (NHTSA), there are over 3 million injuries from car accidents. A car accident lawyer is instrumental in car accident injury claims in obtaining the best possible compensation for your claim because of issues regarding liability, causation, damages, insurance coverage and medical liens. Yes, your health insurance company already has a lien on your case! Whiplash injuries. These are also called soft tissue or acceleration-deceleration injuries since they occur when your neck and back are thrown backwards and then rapidly forward, often tearing or damaging tissue, tendons or ligaments (soft tissue) as well as vertebral disks and your spinal cord. Symptoms include nausea, headaches, dizziness, loss of motion and chronic pain. In more severe cases, you can suffer paralysis, including loss of use of a limb. Lower limb injuries. These can occur from an impact or from being crushed in a collision. You can suffer sprains or ligaments as well as meniscus or ACL tears in the knee if it is twisted during the collision. Head injuries. Although you likely have a headrest, an object from inside or outside the car can strike your head or the impact can cause your head to strike the side window or steering wheel. Many pedestrian and motorcycle accident cases involve head injuries. Particularly severe collisions such as from truck accidents can easily result in catastrophic head trauma. Most head injuries are lacerations or bruises though a concussion can result whenever the head is involved. From any kind of head trauma, you could suffer a traumatic brain injury or TBI, which can lead to cognitive impairments affecting speech, comprehension, memory, focus and personality. Injuries to eyes and ears can lead to loss of vision or hearing. Facial and jaw fractures are also possible. Chest injuries. Penetrating or crushing-type collisions can lead to a fractured sternum or ribs or even damage to organs. Many of these injuries require little medical attention but are nonetheless painful. To recover full value for these cases an experienced car accident lawyer should be retained. Lower abdomen and pelvis. Though airbags prevent many injuries, substantial impacts such as from truck accidents or motorcycle accidents can easily cause hip fractures and injuries to your spleen, kidneys and liver. Foot injuries. Front end or side impact collisions can twist your foot, ankles and toes resulting in fractures or severe sprains. Motorcycle and pedestrian accidents can result in severed toes or feet, and broken ankles requiring surgery. 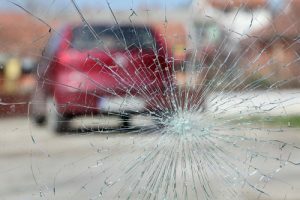 If you sustained injuries in a car accident in the Boston area, then retaining a Boston car accident lawyer to represent your interests is essential if you want to receive the best possible compensation for your injuries. Insurance companies evaluate a claim’s value based on liability, severity of property damage, nature and extent of injuries and the evidence of your wage loss, medical expenses, disability and permanent injuries. Pain and suffering damages may account for the greatest portion of damages in an injury claim, which your Boston car accident lawyer can help present to enable you the best opportunity to obtain a the best possible settlement or jury verdict. Burns & Jain is a car accident law firm that has represented injured victims in the Boston area since 1985 and has obtained millions of dollars in compensation for his clients for all kinds of injuries. Contact the Burns & Jain office today for a free consultation regarding your injury claim.